How did our analysts fare this weekend? 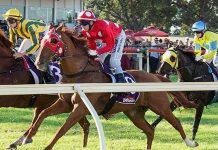 It was a mixed weekend across our footy tips and racing tips, with some big winners at the track scattered amongst a couple of disappointing results around the grounds. Let’s start at the track, where Cameron O’Brien‘s change in approach worked wonders for Key Bets members. A dream start to the new format with $1,300 profit in just three days. Bryan picked up where he left off on Saturday with two more winners in Pretty In Pink ($4.40) and Moss Trip ($3.70) for another winning day. 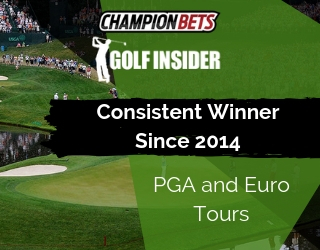 Members have now won 9 of the last 11 betting days. Click here for more information. Trevor Lawson wasn’t looking to get heavily involved at Caulfield. Trev’s Bets members backed a winner with Jaws of Steel ($4.20) which wasn’t enough to cover our bets for the day, but there was little damage done. 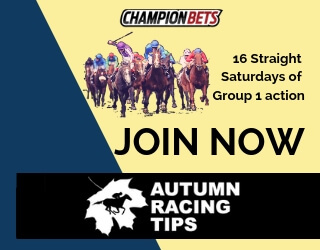 Betting this week on Wednesday at Sandown and then Flemington on Saturday, which includes the start of the Winter Championship heats. How about that steely resolve from Jaws of Steel!? Across the ditch, Kiwi Chris was on song on Friday at Ashburton, backing two winners from two races as Riding High ($17) and Bilbao ($3.90) both crossed the line first. A heavy track on Saturday meant no betting action, but another winning weekend for NZ Tips members. Chris is now up $54,866 in five years at 18% profit on turnover… a remarkable record. 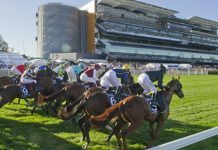 Aaron Barby has been in ripping form of late for Barby’s Bets members, but it was a frustrating weekend this time around. Tequila Time ($3.60) was an early winner at Morphettville on Saturday, covering most of the day’s bets as a result. It certainly wasn’t Barby’s day at Gawler on Sunday, with a late rider change in particular getting the ire of Aaron. Members got a great price on Impulse Diavolo ($2.40) before it was crunched into $1.70 on the tote, but a disappointing run meant no reward. Kazoom ($7.50) came into $4.20 before the race start but couldn’t quite catch the leader to finish in second. A quiet but very successful weekend for Mark Van Triet in Western Australia. It was a case of one shot, one kill for Mark and his WA Winners members with Kokopu ($3.90 Best of the Best) getting up at Ascot on Saturday in impressive fashion. 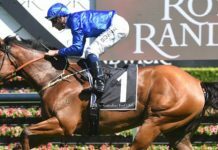 Dean the Trial Spy took on some big prices across the weekend, with a couple of shorter-priced runners getting home to negate much of the damage and make for just a small losing weekend. Maracas ($3.50) was a highlight at Gawler, beating off the challengers close to the line for an impressive victory. Maracas fights them off at #Gawler. It was certainly a mixed weekend of results for all of our footy tips analysts. The boys had a frustrating weekend but remain well into profit for 2018 and will no doubt bounce back in round 9 and beyond. Steve Green’s NRL Tips enjoyed yet another winning weekend, while his Futures bets remain in great shape despite the Dragons suffering their second defeat of the season. With two rounds remaining before the halfway mark of the season, the Dragons sit atop the standings despite suffering defeat on the weekend. One more win should be enough for St George to lead at halfway – paying $21 pre-season – for a very tidy $2,100 collect for members. Further bets on Gareth Widdop to be the season’s top point scorer ($12 pre-season, currently leading by 14 points over his nearest rival), the Dragons to make the top four ($4.50 pre-season, now into $1.30 with some bookies) and the Dragons to win the premiership ($21 pre-season, currently $5 equal favourites) are also in great shape with more than a third of the season complete. 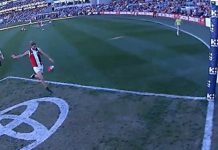 It was a lean week for the AFL Specials juggernaut but there is no doubting a change in fortune with over $5,500 worth of profit on the board already this season. Brett’s NRL Specials endured perhaps the toughest weekend of all the sports memberships. There will be plenty of opportunities to replenish the bank with round 11 of the NRL season coming up this weekend. 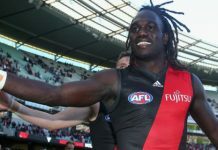 After the High Low endured a tough weekend to open May, true to form Rod’s membership bounced back impressively to wipe out the losses in one swift hit. The $600+ losing weekend to open the month of May is as poor as the High Low has been in a very long time, but that quickly became a distant memory with a strong rebounding effort this weekend to be right on par in the search for a 16th straight winning month. This weekend certainly wasn’t one of the easiest for our analysts, but the damage was limited and some managed to get away with nice profits as well (well played, Cam O’Brien). As always, onward and upwards as we look forward to another big weekend ahead.